When it comes to mascaras I normally 99.9% of the time opt for a waterproof one, especially in this weather as the slightest bit of wind causes my eyes to water. I'm also quite picky when it comes to mascaras as I don't want something that's too clumpy but I also want it to add length and volume to my lashes. So when I pick out a mascara I'm quite the critic because if it doesn't work it's simply tossed into one of my drawers and forgotten about. 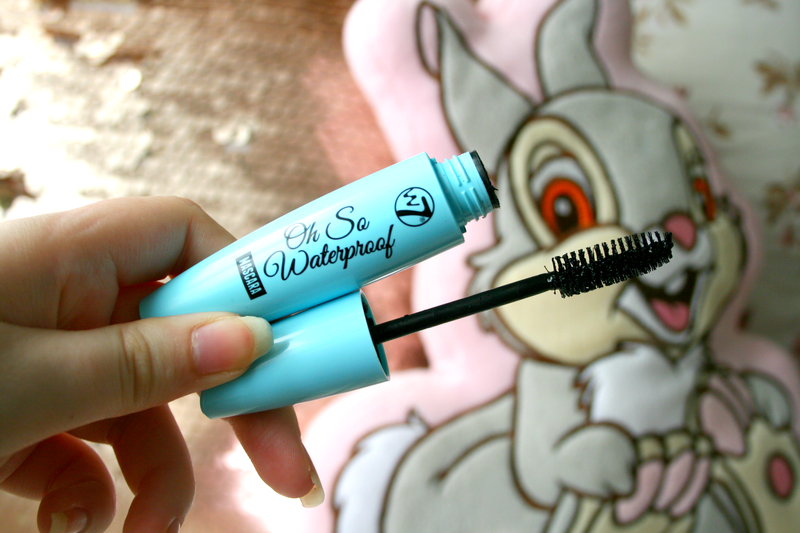 For a good while now I've been using the W7 Oh So Waterproof* mascara and if you don't know already W7 are one of my favourite affordable brands due to their amazing quality cosmetics for the price tag. I will admit though I doubted this mascara a lot before giving it a try. I'm not entirely sure why but I just wasn't sold on the fact that it was going to be waterproof. However curiosity got the better of me and so I started to wear it. After being caught in the warmest weather, the coldest and windiest and of course the rainiest I can 100% confirm that it is waterproof and does not budge from your lashes until you apply some makeup remover to it. Along with being waterproof this mascara is jet black which I really like. It adds a lot of length to my lashes and a little volume and best of all it's in no way clumpy at all. For it's small price tag of only £4.95 it's a pretty darn good mascara! As always W7 cease to amaze me with their products as every single one I try I always become obsessed with. If you're in the market for a new mascara and don't want to spend a lot definitely give this one a try! Have you tried any W7 mascaras? I love a good mascara that doesn't budge, and for the price of this one it sounds like you can't go wrong!